Hi everyone! 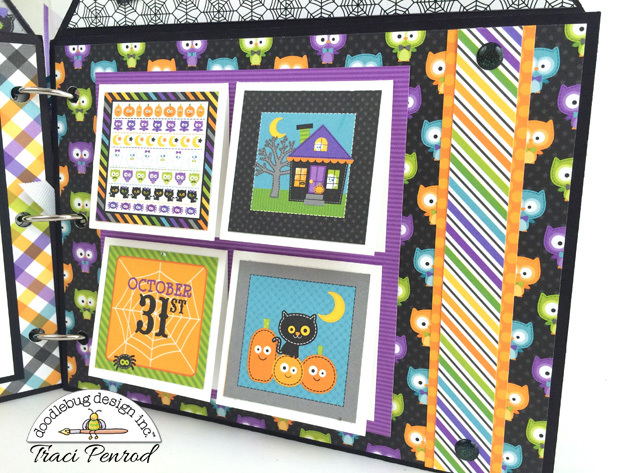 It's Traci and I'm back to share my October 31st project with you, PLUS we have a GIVEAWAY for you! 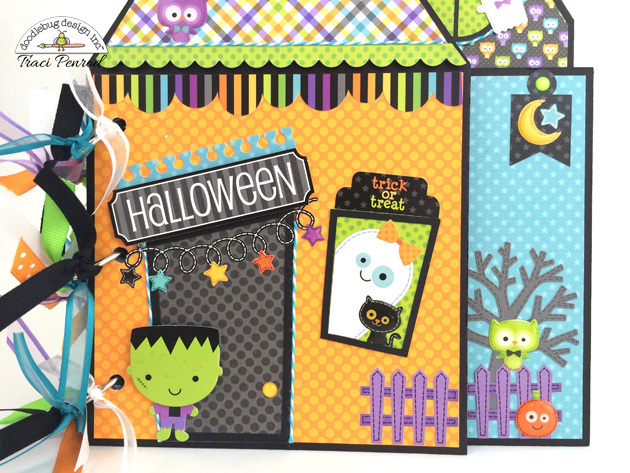 If you're like me, you look forward to seeing the new Doodlebug Halloween collection every year. The colors are always perfect and the little ghosts and critters couldn't be any cuter. This year, the October 31st collection might be my favorite ever. As soon as I saw it, my crafty brain started conjuring up all sorts of ideas for my next mini album. It's bad ... I even woke up in the middle of the night to jot down ideas! Here is the result of those midnight brainstorms. This fun album will also be available to purchase as a DIY kit in my Artsy Albums shop, but first I'm offering one to Doodlebug to give away to one lucky winner for free this week! I'm so excited! To create this fun mini, I drew out my house design first and decided how I wanted to cut my chipboard pages. Once this was done, the papers were so cute it made the rest of the design really easy! This Halloween album is just adorable! 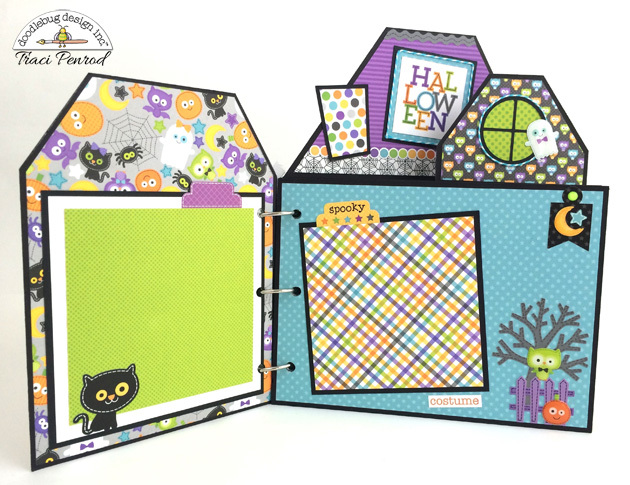 You have such creative ideas and always come up with new ways to use Doodlebug products. Just love this one! Love this Halloween Mini, so cute. Love all your Mini's Traci, so creative!!!! The Halloween album is so cute! Love all your albums!! Love your papers and the designs are wonderful, such fun. Wish I could win the album, but I would buy one if it were for sale. What a great use of all the elements. I love this album! It looks amazing! Traci you did an awesome job on this! I entered the giveaway! I love all the new patterns and colors. Can't wait to make something! Love all your collections! Thanks. What an adorable album. Cute! I would LOVE to win the October 31st Halloween Album Kit! Awesome project! I ❤the mini Halloween album! You've done it again! Your inspiration knows no limits. Thanks for the chance to win! This is absolutely adorable! I just placed my order for the collection! That is too cute! I entered on all platforms! Love the colors...sooo cute! Liked, followed and commented! Too cute! The new designs just keep getting cuter! I liked on facebook and left a comment!! I absolutely love this cute book. It will be perfect for pictures of my two granddaughters. Love everything by doodlebug !!!! OMGosh I love this! I would love to win it. Thanks for the opportunity. Stunning project, I love how the entire mini turned out! Each of the details and embellies you added is adorable! I love the gorgeous colors and patterns too! It looks amazing and I would so love to have a DIY kit, thanks for the opportunity to win one! This whole project and post made me smile! Thanks for sharing!!! What a cute mini album, I love it! WOW! You are extremely talented! This is adorable! Using the black matting on everything really makes the colors pop! Love the colors in all of this. I ordered the paper pack with the this & that sticker sheet. Oh this is so cute!!! I always loved Doodlebug but just cannot buy it where I am.. they dont bring in Doodlebug! Thanks for the chance to win this :) I entered the rafflecopter giveaway. I have entered, sending a HUGE THANK YOU for the chance to win!!! The cutest ever! I love a good album kit. I collect them!! I entered all four ways. Thanks! I entered to win this awesome giveaway! I entered to win this darling album!!! Love you guys, and Halloween is my favorite Holiday!!! This is adorable. Thanks for offering this fun giveaway! I'm entered! I entered the giveaway. So love that striped paper. Great Hallowe'en house. I love Doodlebug. The black cat is my favourite! The things I could do with this kit are endless. Thanks for the chance to win awesome blog candy! Totally super cute! Great album. Oh this is too cute. I love Doodlebug Design. Great album! Have entered the contest! Ha! I figured out what I did wrong. Now I'm entered. What a delightful mini album!!! There are so many fun and adorable parts! I love the page with the mini cards that you flip up. 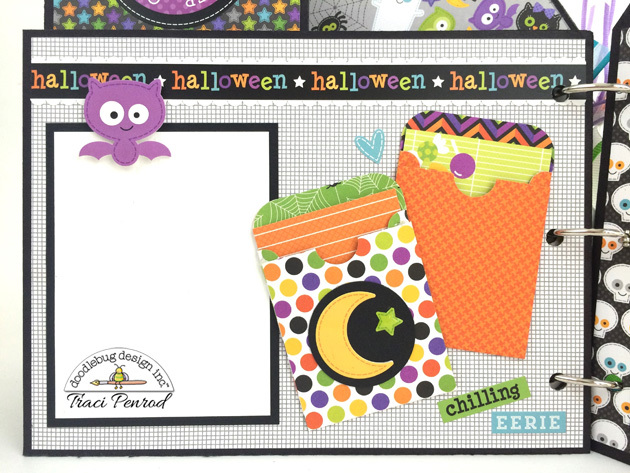 Your amazing talent, and the bright, cheery and fabulous Doodlebug products are a fabulous combination! Thanks for the chance to win such a fantastic prize! Too cute! Love your book!! this mini album is awesome!!! I love this album! I've entered the contest. Very fun album! I love the interactive elements! Thanks so much for the chance to win! 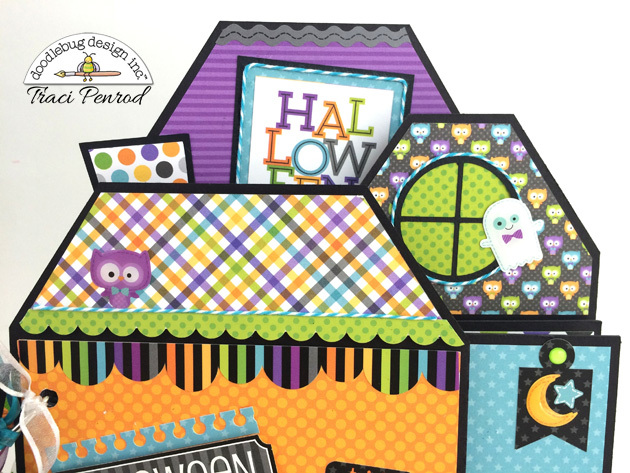 I love Doodlebug Design's papers and coordinating embellishments. 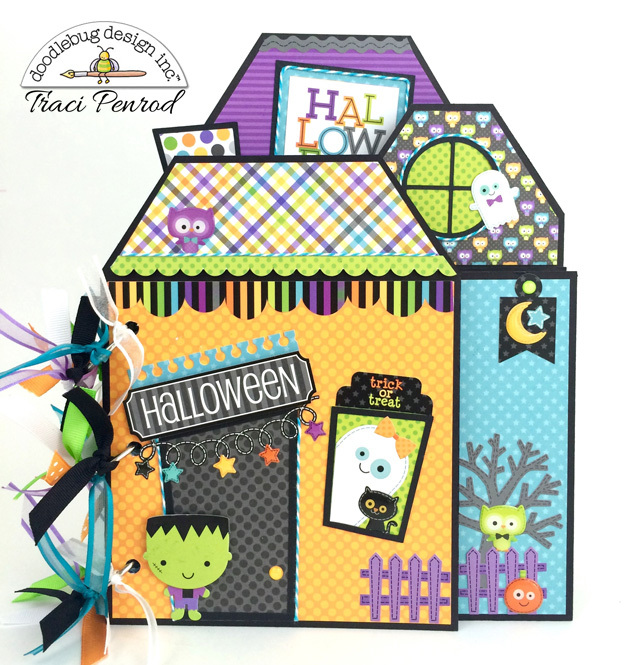 I also love all of Traci's album ideas and projects she does using the Doodlebug Design lines. I would love to win this kit! Halloween is my favorite Holiday! Boo! Super cute album. Thanks for the chance to win one! SO CUTE. I love Halloween papers. Would love to win this. Just precious! I entered to win.